Getting Married Is Not A Day’s Job! Meet Bunmi Ayeni, a woman with a passion to empower her generation. 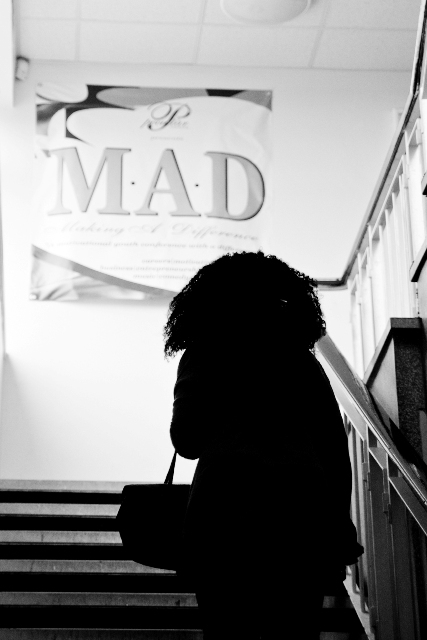 In her own words, she explains the hunger to see young people succeed at what they do as she tells us about her inaugural motivation conference, M.A.D. Belinda: Let us start with the name, you are not M.A.D, I am not M.A.D, but why the name M.A.D for your conference? What does it mean and how did you come to this name for your conference? Bunmi: M.A.D is an acronym, and it stands for Making A Difference, which is actually the slogan/catchphrase for PECULIAR CONSULTS LIMITED (our event and artiste management consulting outfit.) The aim of the conference is to encourage and challenge young people through motivational and inspirational talks on varying issues that affect us in our day to day living. We want to make and be the difference that our world and generation so desperately needs, hence, the name, MAKING A DIFFERENCE. Besides, the target is the youth generation so the name is supposed to stick. Before, during and after the conference, several people have been asking themselves ‘AM I MAD?’ or asking friends ‘ARE YOU MAD?, which hits home though they are actually asking ‘ARE YOU MAKING A DIFFERENCE?’. There is therefore a branding element to the use of the name. Belinda: What compelled you to put the conference together in the first place? 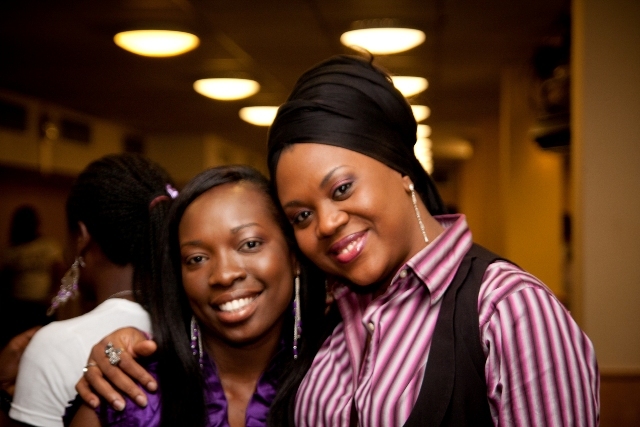 Bunmi: I had carried M.A.D in my heart for over 8 years before it was finally birthed last month. When I started playing with the idea and name, I loved it and made it my signature whenever I sent emails to friends. Interestingly, a few months later, I started seeing mental pictures, when my imagination took me on one of its many journeys, of a lot of young people (including myself) in T-Shirts with M.A.D written on it in a big venue. I didn’t know what we were there for, but I know we were all excited and we had the same expectations. The need to act on what I was seeing and feeling at the time kept growing stronger and I knew there was more to come. In addition, I have had a big burden in my heart for young people over the years. I personally felt the need to listen to practical experiences from youth experts and professionals, and to learn about making a difference in the midst of adversity. It was however important that these were individuals others could relate to, emulate and aspire to be like, especially if their lives have been result-driven. A quick research showed that most motivational or mentoring speeches and teaching of this nature would normally be delivered by those outside the ‘youth’ bracket, if that makes sense. I wanted an event that achieved both the purpose of mentoring within the atmosphere of like-mindedness, similarity in age group but with clarity of learning. Since I couldn’t find an event of this nature, I had two options: A, To keep looking for such opportunities until I found it. Or B, To create one myself. I chose the latter and the rest is now history. Belinda: How long did it take you to put the conference together and what did that process involve? Bunmi: The actual physical work took about 4 months and it was not easy. From creating the concept to looking for speakers to sorting the venue and of coursed, paying detailed attention to the logistics and strategising how a one day event can be carried out successfully. I also had to think about publicity, promotion among many areas that needed to come together in order to make it all work. It was a full project and involved a lot of hard work! I couldn’t do it on my own, so I got help from some of my friends and family and everyone went all out to make it the success that it was. Belinda: You had a good line up of speakers, how did you get them together and was each speaker assigned a specific topic? 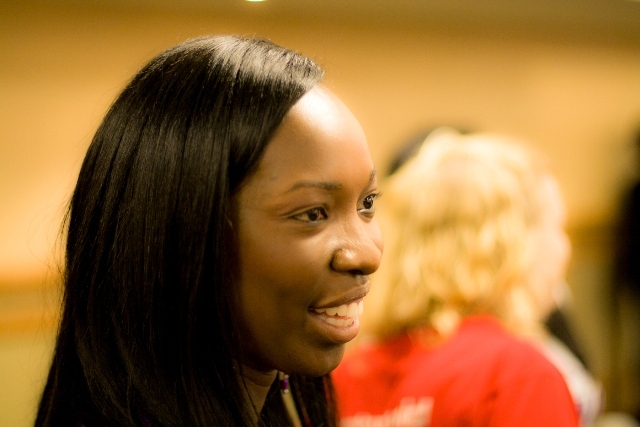 Bunmi: I wanted speakers that could appeal to young people and who are experts in their fields. Some of our speakers this year are my personal friends. I met some through networking and there were those I actively sought for. I wanted an ethnic diversity just as much as I wanted a variety in the subject areas. We had some Nigerians, a Ghanaian, a Caribbean, an English lady, and a Zimbabwean. They were all from different fields of life, we had accountants, businessmen, life coaches, entrepreneurs, IT consultants. We also had a doctor, an event co-ordinator, a politician, an actress, singers, a comedian, a poet and more. It was a really good mix and everyone brought something different to the table, and that made it a really thorough conference. Bunmi: I originally envisioned M.A.D for young people aged 18 and 35, the university entry to working class mid-aged people. However, when we started promoting the conference, I started getting enquiries from people outside that age range, who were interested. So, going forward, it is ‘a motivational conference’, and though it targets young people, it is also for anyone who feels young at heart or anyone who wants to be positively challenged and motivated. Belinda: You used Facebook as a marketing and promotional tool for this event. Did it work for you and what are your thoughts about the use of Facebook and other social networking online websites to market and promote one’s self, product among other events? Bunmi: I always say, facebook has made the big wide world such a small tiny village. Technology has turned us all into computer geeks and most people seem to be on one social networking site or the other these days. This is the age where people spend more time online than in front of their television sets. People even have access to facebook and twitter from their phones. For M.A.D 2010, facebook was certainly very useful as we found out that more than 70% of the conference delegates heard about it on Facebook. The video promo we made which we eventually aired on OHTV ended up having more viewings on facebook via youtube. I think Facebook is a brilliant tool for marketing and promoting self, products and anything else. Aside from the fact that it is free (which is a mega plus), there is a huge potential to reach more people than any TV or RADIO station would, if properly packaged and targeted at the right people and groups. Belinda: You raised money for charity from the proceeds of the conference ticket sales, how did that partnership come about? Bunmi: I have always had a passion for the less privileged. I didn’t have the opportunity or sufficient resources to support any particular organisation pre-M.A.D. So, I figured that if I would be taking ticket fees for any event I host, I could conveniently commit to giving a certain percentage of that to any charity I endorse and want to support every year. After carefully carrying out some research, I found that ACTION AID, which was the charity we chose this year, have been in existence for quite a while and there is enough evidence to prove that they are doing a fantastic job with developing countries and helping those who really need help. I sent their UK office a message and asked if they would be happy to come on board. I shared my vision with them and I got a really good response. The lady we had as the ACTION AID representative on the day was actually a vital part of the M.A.D preparations as she helped in every little way, just to make my work that bit easier. We hope to choose a different charity every year, so that we can make a real difference and touch the lives of as many people as we can all over the world. Belinda: What do you want to achieve with the conference for the foreseeable future? Bunmi: M.A.D aims to raise a generation of young people who will become positive role models and future leaders who will make an impact and a difference not just in their local communities, but in the world at large. We desire that the annual conferences will be a forum where dreams, aspirations and creativity can be encouraged and people can be empowered and inspired to be all that they desire to be. We hope to encourage networking among aspiring professionals and provide guidance and mentoring opportunities for as many people as possible. We will also continue to use proceeds from M.A.D to support charities and make little differences one day at a time. Belinda: Is M.A.D going to be a regular event on your calendar? Bunmi: Yes! 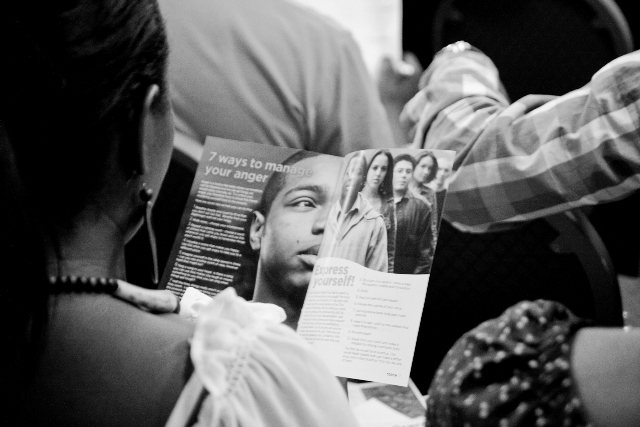 M.A.D will be an annual conference and it will also have a presence in other cities in the UK and across the world. 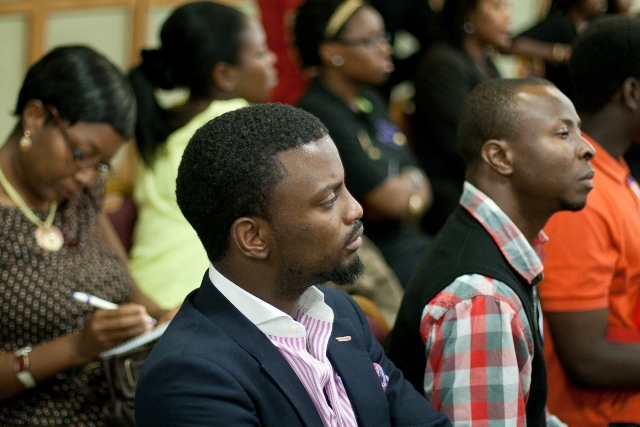 Note: All Images are the property of Bunmi Ayeni, please do not use without permission. This entry was posted on Monday, September 6th, 2010 at 6:50 pm	and is filed under Interviews, Life, Musings, People. You can follow any responses to this entry through the RSS 2.0 feed. You can leave a response, or trackback from your own site. Always good to see young women doing great stuff. Kudos to her. Olubunmi Ayeni is one person that has done and is still doing well for her generation.She is really making a positive impact amongst her peers and her generation. Therefore, I give it to her any time, any day for taking that bold step to put that wonderful and very inspiring event together. I thank God for a successful event. I look forward to the next year’s which I strongly believe will be better and bigger than the last. So Y’all WATCH THIS SPACE! What a great and good start!. It takes a lot of guts, efforts and hardwork to pull off such a program. It is also clear that you have all it takes (WITH HIS GRACE) to achieve your goals. We join a host of other well wishers in praying for strength and your continued success. This is great, it’s so good to find that people are still passionate about change in a world where many have given up on hope for positive change. I duff the cap for you.